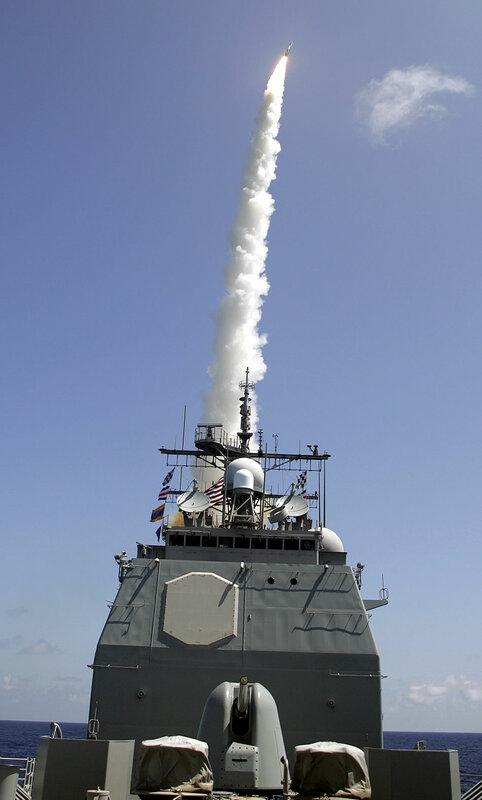 05/25/06 - A Standard Missile 2, a surface-to-air fleet defense weapon, is launched from the Aegis cruiser USS Lake Erie (CG 70) during a U.S. Navy missile defense demonstration in Kauai, Hawaii, May 25, 2006. The demonstration is the first sea-based intercept of a ballistic missile in its terminal phase. DoD photo courtesy of U.S. Navy.